When Johnathan Grzybowski started Penji, his subscription graphic design business, he used the lessons learned from running his graphic design agency to set his new company up for success. 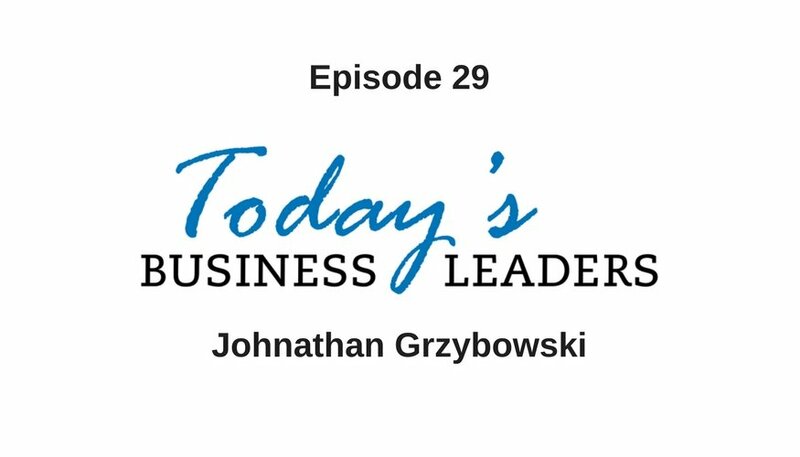 Johnathan chats with Gabe about failure, focusing on your strengths and setting goals in this episode of Today’s Business Leaders. Before he even had the idea to launch his subscription service, Johnathan was overseeing a graphic design firm. The business did well, and he was making money, but Johnathan felt he and his team were not cut out for agency life. The agency team always delivered high-quality design, but the business lagged in other areas. Johnathan found the experience draining. Evaluating the team’s strengths and failures spurred the creation of Penji, an unlimited graphic design service. Since design was his team’s skill, Johnathan decided to build his new business around that and get rid of the other aspects of the agency. Penji allowed Johnathan and his collaborators to scale their own design team. After the service was launched, it began to catch on, and there has been no looking back. Johnathan finds the company now has purpose and meaning and they can give back to the community in a significant way. One of the more staggering facts of Penji’s success story is that Johnathan and his team were able to get 200 customers in a mere three months. Their method was utterly unscalable, but they kept trying different tactics. Some techniques worked, and some didn’t, but their persistence paid off and continues to build up the company today. Another key to Penji’s success has been goal setting within the organization. All team members are held accountable for creating and reaching goals. This methodology is such an essential part of the company culture that they even created software for employees and managers to set and track goals. Everyone knows what is expected of them and they understand what they need to do. Penji is continuing to reach and exceed its expectations, and the company is growing. Learn how easy it is to sign up and enjoy custom graphic design work using Penji. Get in touch with Johnathan via email, Facebook, Twitter or Instagram. Learn more actionable advice from a diverse mix of entrepreneurs by catching up on the earlier episodes of Today’s Business Leaders. You can also find out more about Gabe’s company, Business Marketing Engine, and the courses and solutions they provide.